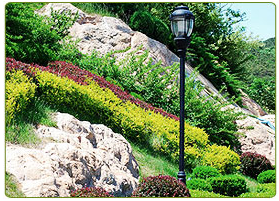 Take your yard from drab to fab with landscaping services from a company you can trust. Your yard should be as impressive as you and your home, and with our help, you can take it to a whole new level. From yard renovations to tree and plant installations, to mulching, pruning or edging, we can give your lawn and landscape a facelift! You deserve quality time, so let us do the quality work. If you want to get those plants installed, that small tree or shrub removed, or you need to lay that mulching down without the back-breaking effort and time away from your real hobbies, The Yard Barber should be on your speed dial. Whether you’re looking for a patio to entertain guests this summer, or want a pathway to lead through your yard to your front door, invite guests to enjoy your landscape with our hardscaping services. Buy that new covered swing or patio set you’ve been wanting, and put it on a well-constructed patio by the experts at The Yard Barber. With us, you can cross off your to-do list quickly. Our affordable services, fast turnaround and dedication to your satisfaction speak for itself. We can’t wait to show you all we can do! Call us today. Contact us to work with us for your landscaping services.